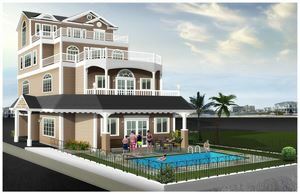 Ready to make Wildwood Crest NJ your new reality? Whether you come for the beaches, the personal community (only a few thousand residents), bustling commerce along the boardwalk, or just for the views and fresh air, one thing is certain – you’re going to experience life in a whole new way. Imagine eating fresh seafood with new friends and family along the boardwalk, watching the sunset, and lying down on your pillow with the peace and mind a small community has to offer. Wildwood Crest is one of the most desirable areas in Cape May, but Daniels Realty knows all the best deals and locations in order to turn your dream house into a home.